West Howard Avenue, which runs between the Mummasburg Road (shown in the foreground) and the Carlisle Road, is being asphalted this week. 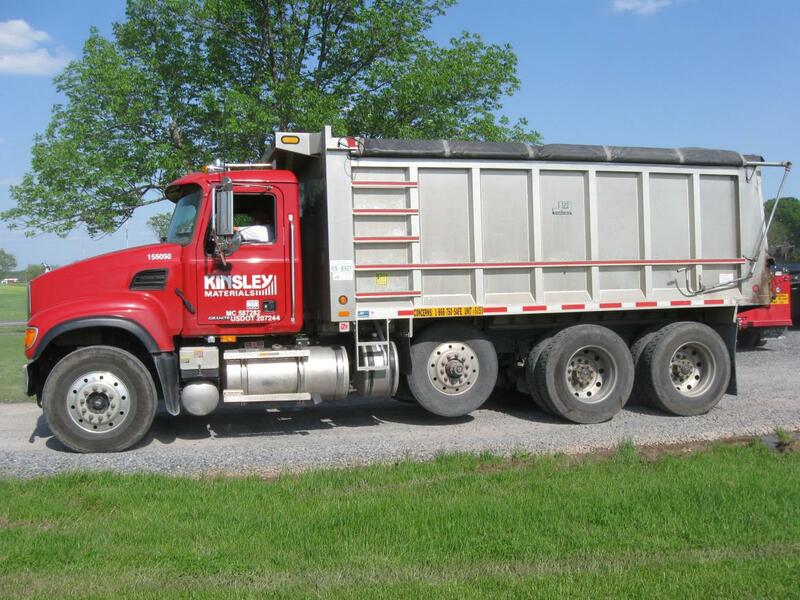 The contractors, Kinsley Construction, were sensitive to our taking pictures of the roadwork. This view was taken facing east at approximately 4:30 PM on Tuesday, May 12, 2009. On Tuesday afternoon, May 12, 2009, we were driving up the Mummasburg Road to the Peace Light to see if the graffiti from JANUARY had been cleaned off. It still hasn’t. 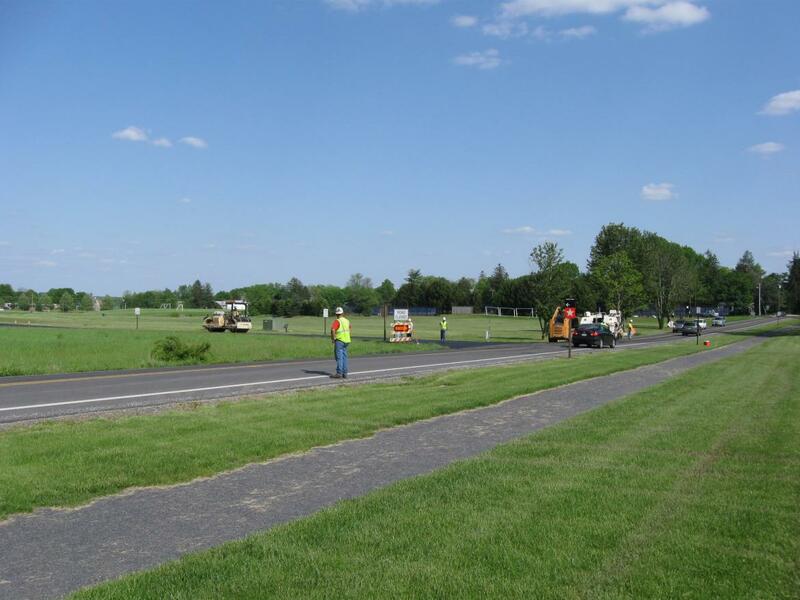 On the way we noticed the construction vehicles asphalting West Howard Avenue. On our way back from the Peace Light, we decided to stop by and take some pictures of the Howard Avenue construction work and see how close they were coming to any markers. Being the very thorough people that we are, we began by taking pictures of all the equipment at the construction site. From that point, our afternoon became a little interesting. 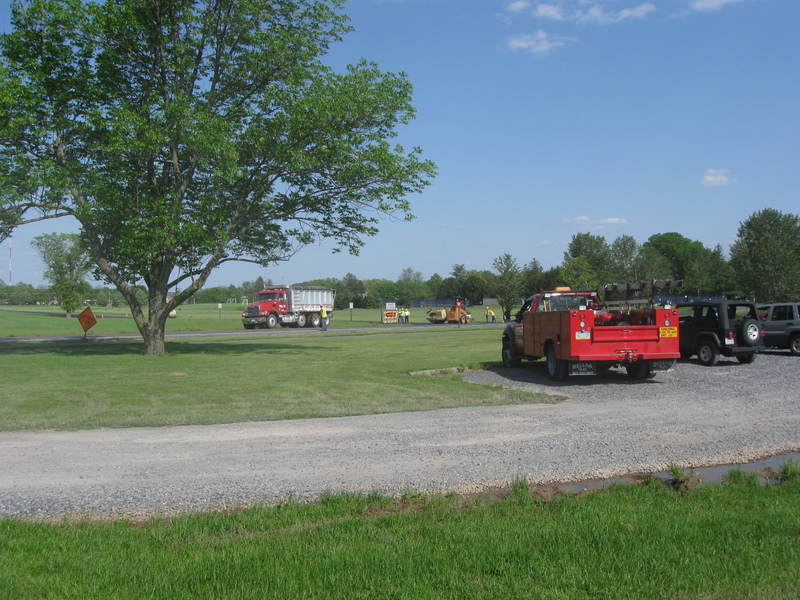 The Kinsley construction vehicles were parked in the parking area on the west side of the Mummasburg Road used by fans of Gettysburg College sporting events, and other users of their facilities. This view was taken facing east at approximately 4:30 PM on Tuesday, May 12, 2009. Most of the larger vehicles began packing up and driving away after we began taking pictures. It must have been quitting time for the day. This view was taken facing east at approximately 4:30 PM on Tuesday, May 12, 2009. As we approached the road in order to cross it and a person who identified himself as a “contractor” approached us. His first words were, “I don’t think the Park Service wants you to take pictures here.” 4:30 PM on Tuesday, May 12, 2009. “Why?” we asked. “They don’t want people to get the wrong information about what we’re doing. I was told to refer any press to the National Park Service so they can fill you in on what we’re doing.” What? 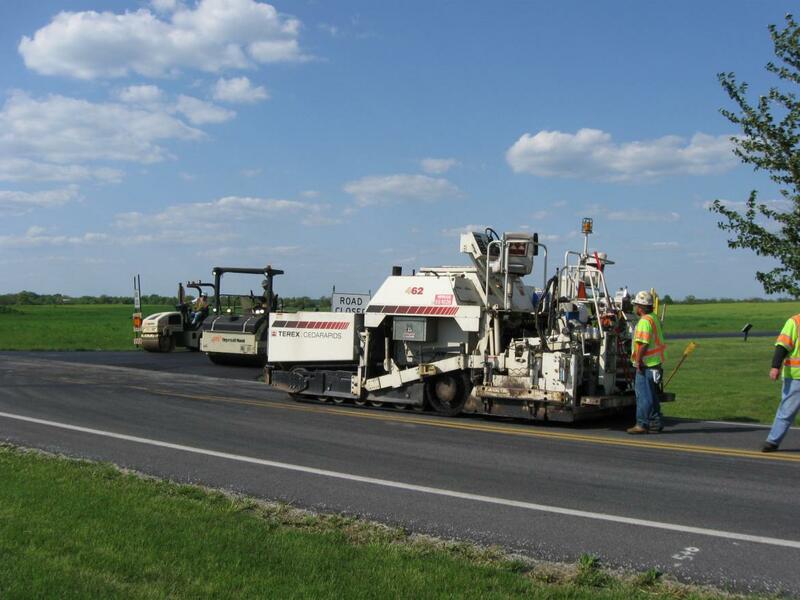 It looked like all they were doing was asphalting an avenue. I asked him why the Park Service is concerned and he replied, “you know what I mean.” Sorry, I guess at this point we were our usual clueless selves. This photograph was taken facing northeast at approximately 4:30 PM on Tuesday, May 12, 2009. We asked him who he was, and he said he was the contractor just doing his job as the Park Service told them to do. He then repeated that we needed to contact the Park Service before we took pictures here. We informed him that this was National Park Service land, and we would walk wherever we wanted to, taking pictures of what we wanted to, and right now we were going to cross the road to take pictures and see how close they were coming to the monuments. So we crossed the road. This photograph was taken facing northwest at at approximately 4:30 PM on Tuesday, May 12, 2009. 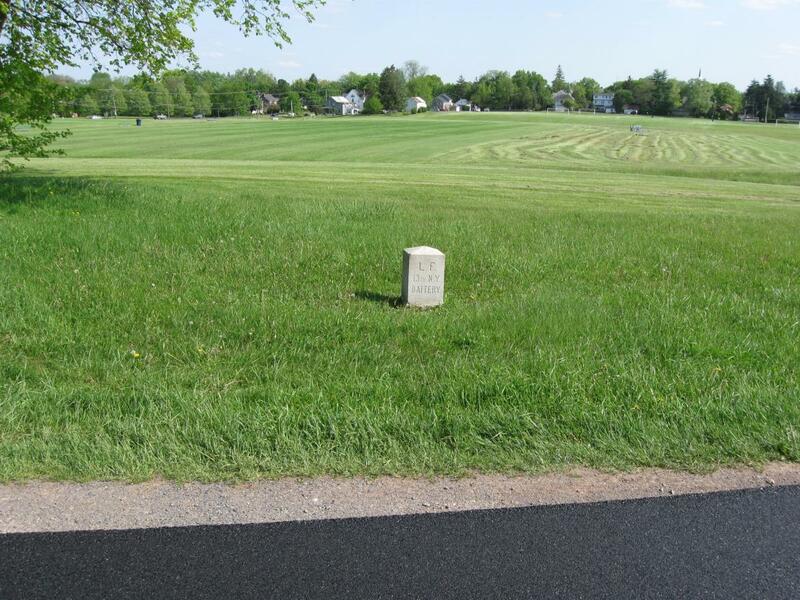 The monument to the 157th New York Infantry Regiment is the closest to the camera. As we began walking east on West Howard Avenue, we wrote down everything that was said, and we started to ask ourselves questions. Why are they so sensitive? This photograph was taken facing east at approximately 4:30 PM on Tuesday, May 12, 2009. 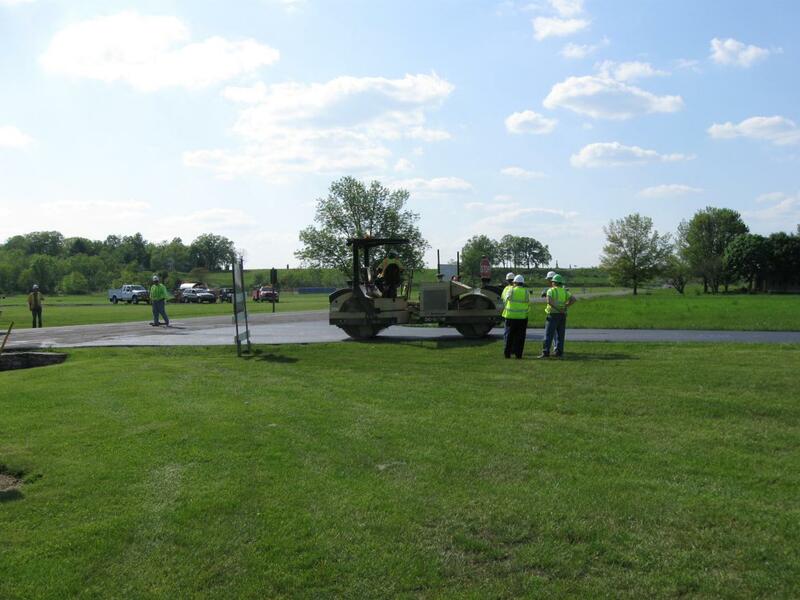 Even though we doubt the road really needed paving, it’s probably just some of that stimulus money the Superintendent talked about at the spring Licensed Battlefield Guide meeting doings its job. The taller monument is to the 45th New York Infantry Regiment. This photograph was taken facing south at approximately 4:30 PM on Tuesday, May 12, 2009. They’re not doing a sloppy job as the contractors did last summer who slathered the avenues with copious amounts of asphalt. This asphalt is only a few inches above the ground. 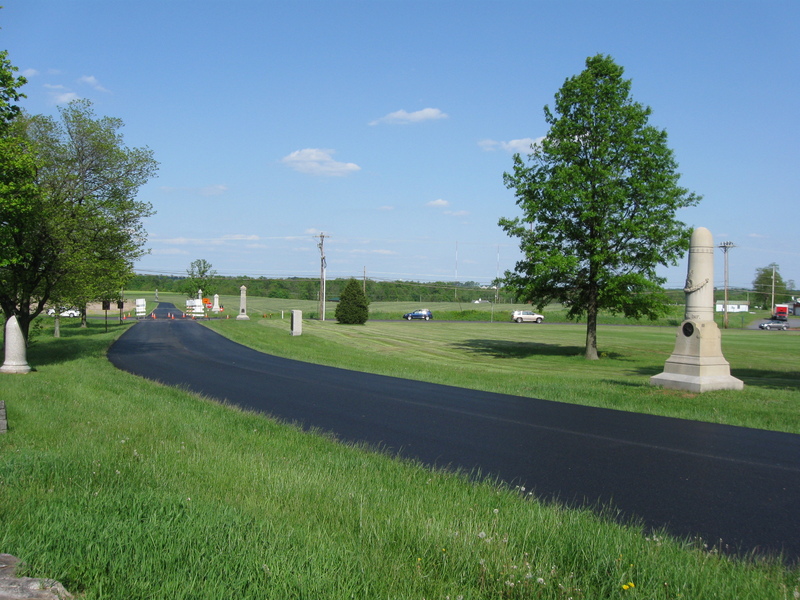 The first monument on the right is to the 74th Pennsylvania Infantry Regiment, and the next monument is to the 61st Ohio Infantry Regiment. This photograph was taken facing northeast at approximately 4:30 PM on Tuesday, May 12, 2009. So we have to wonder, what wrong information would one be getting from this scene? The monument to Dilger’s Battery I, 1st Ohio Artillery is by the cannon on the left. This photograph was taken facing southwest at approximately 4:30 PM on Tuesday, May 12, 2009. 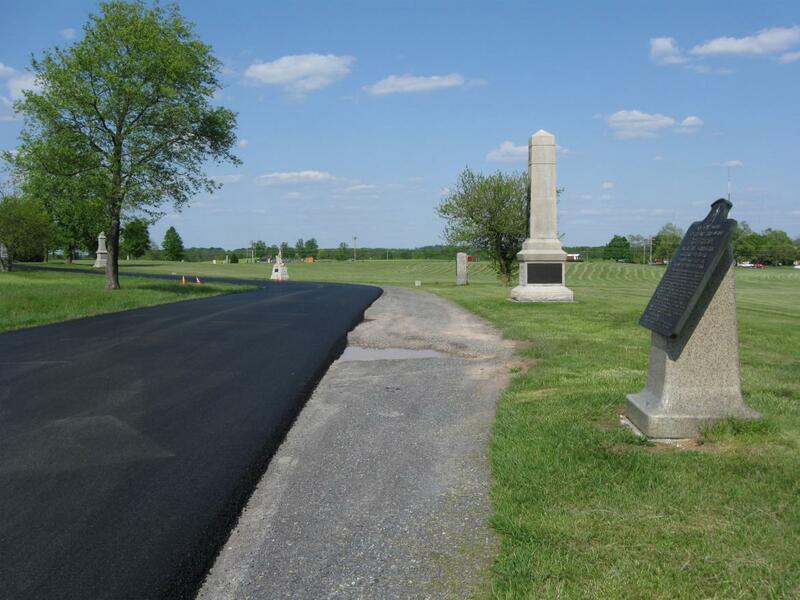 They didn’t come close to any flank markers or monuments in the section that they were paving today. This view was taken facing south at approximately 4:30 PM on Tuesday, May 12, 2009. Again, everything looked good to our untrained construction eyes. 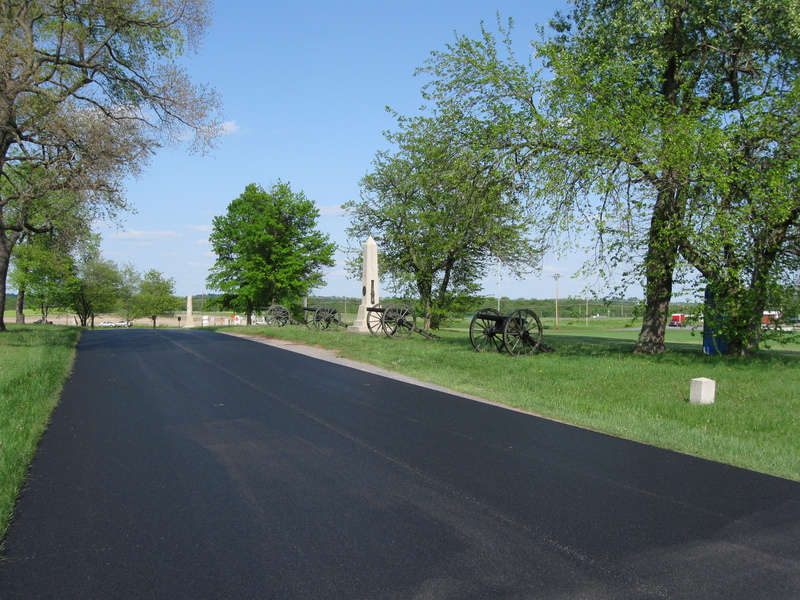 The monument to the 82nd Illinois is on the right. 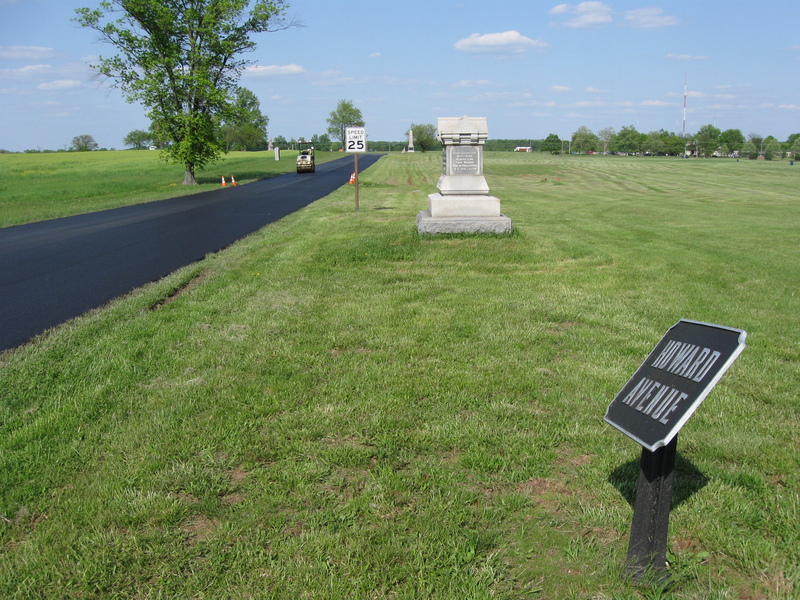 The marker to Dole’s Georgia Brigade is on the left. 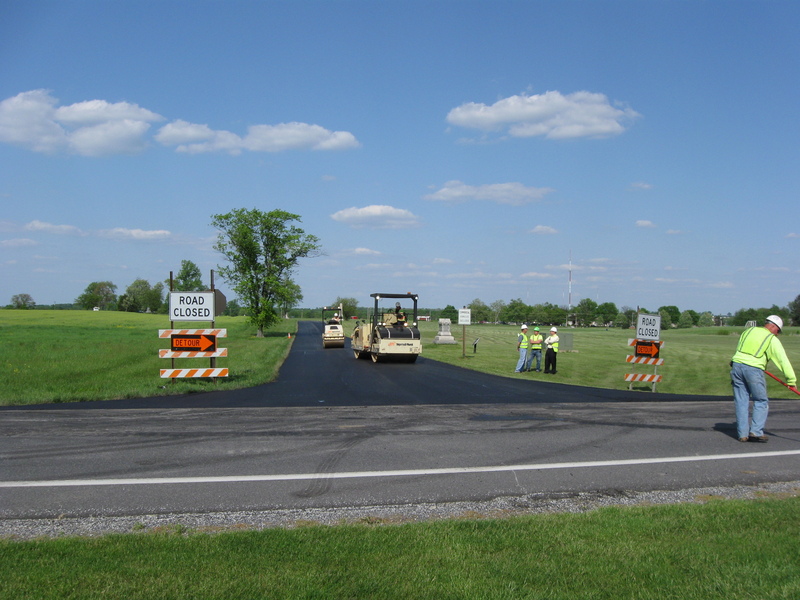 West Howard Avenue intersects with the Carlisle Road at the construction signs. This view was taken facing east at approximately 4:30 PM on Tuesday, May 12, 2009. 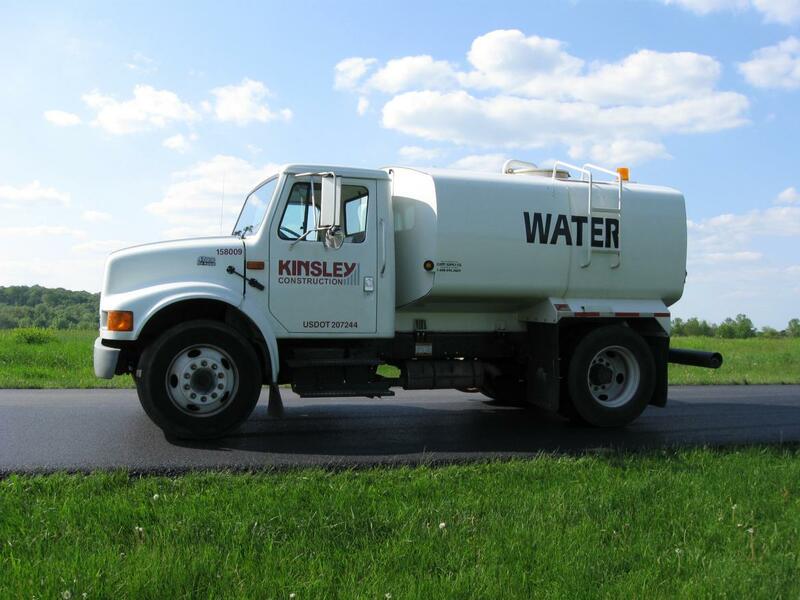 Are things more sensitive now that the Kinsley Construction vehicles are now so prominently represented at these construction locations? 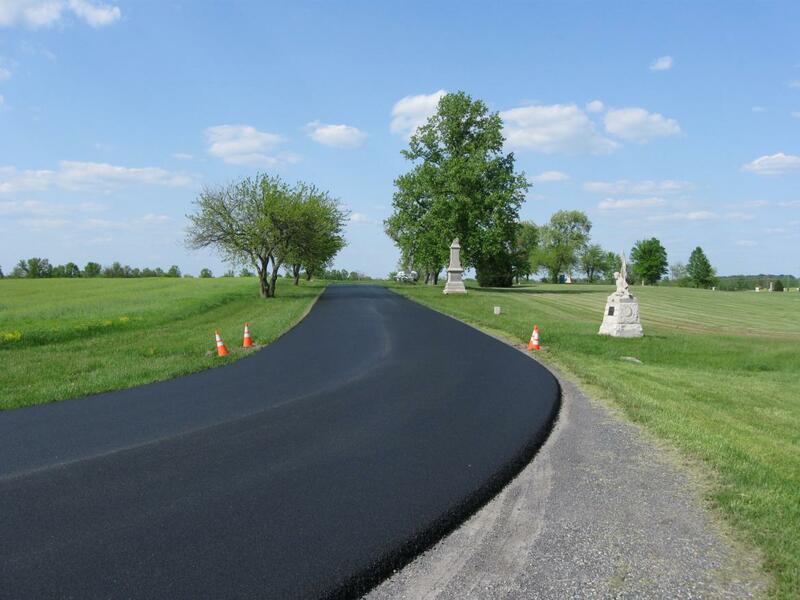 We are not one of those people who theorized that Kinsley received these construction bids from the Park Service Superintendent, and then Kinsley, as the Chairman of the Gettysburg Foundation, appointed the Superintendent to the Foundation’s Presidency as a thank you. But why do they care if someone takes pictures? This view was taken facing north at approximately 4:30 PM on Tuesday, May 12, 2009. Since the contractors (only their big red trucks) hadn’t left yet, we thought we’d go back and talk with them, being the reasonable people that we all are. Here is a buried culvert from the 1890s. In the background is the red McClean Barn and Oak Hill atop of which sits the Eternal Light Peace Memorial. This view was taken facing northwest at approximately 4:30 PM on Tuesday, May 12, 2009. So we went back to talk with “Dan,” the contractor that first talked with us, and another contractor with him. Dan said, “I just wanted to make sure you stayed 25 feet away from the construction, it’s a safety issue.” Well, that isn’t what he said when we met him before, and we pulled out our pad and wrote that down. He said, “I saw you write that down, and I’ll let you quote me on that.” What? The Park Service spokesperson doesn’t even consider us to be a member of “the press.” We’re just out here to get information, take pictures, and share them with our readers. This view was taken facing east at approximately 4:30 PM on Tuesday, May 12, 2009. The other contractor told us, “well, you could have been OSHA (Occupational Safety and Health Administration) out here, and we are very sensitive to that.” So this is getting more weird. What if we were OSHA, the main federal agency charged with the enforcement of safety and health legislation. Are they going to tell OSHA not to take pictures? Is the National Park Service going to tell OSHA not to take pictures? This view was taken facing southeast at approximately 4:30 PM on Tuesday, May 12, 2009. 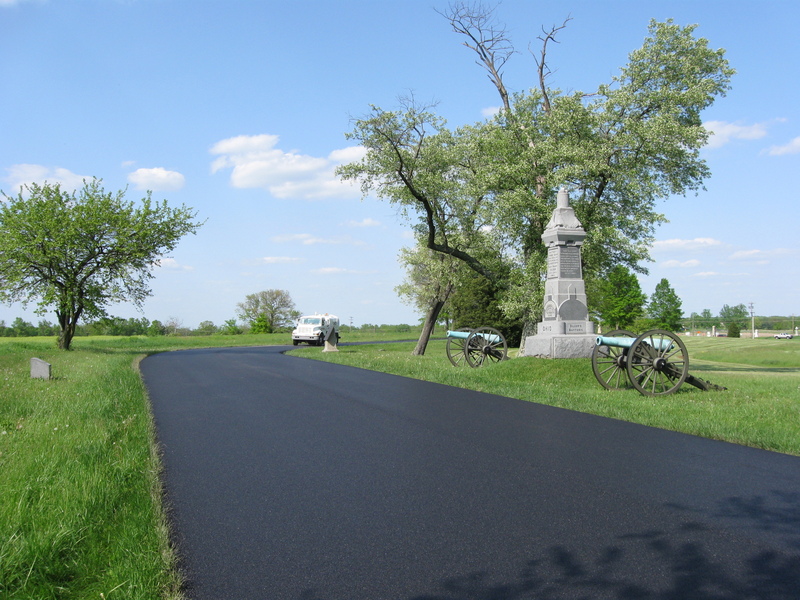 We told them again that we were here to see how close the paving was coming to the markers and monuments. 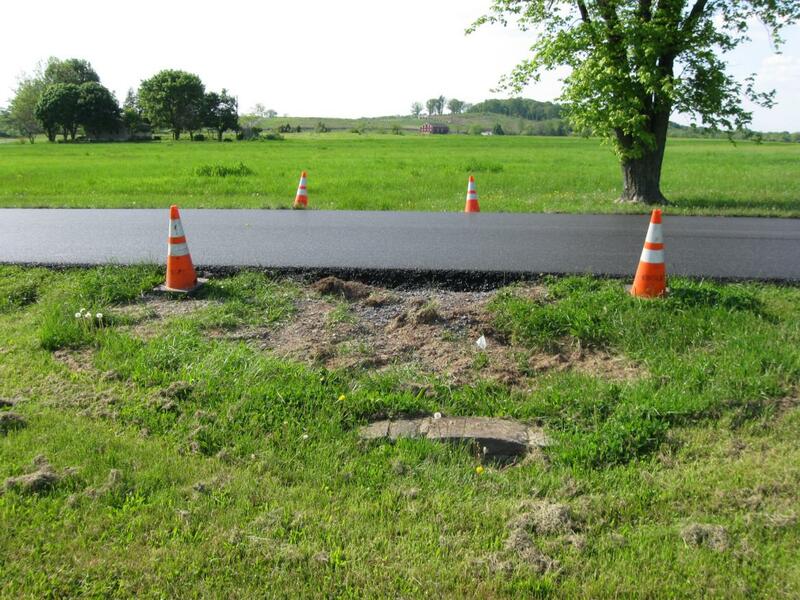 He then informed us that they were not the contractor from last year who put asphalt against the markers. This view was taken facing northeast at approximately 4:30 PM on Tuesday, May 12, 2009. 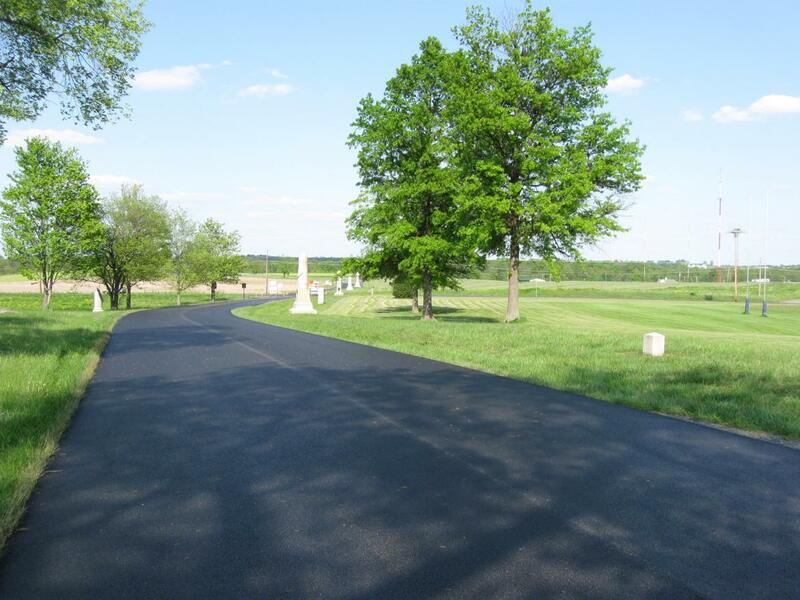 We were also informed that this year, before they started asphalting, a National Park Service historian, and a National Park Service archaeologist rode around with them giving them a historical tour. The Park Service explained to the contractors what the markers and monuments represent and why they should avoid asphalting them (they were even told what rocks they shouldn’t be asphalting). So let’s recap: The NPS educated them about the history, the monuments, and dealing with the press. Unfortunately, someone forgot to bring in the staff person whose job it is to tell them that this is public land. This is the position of Wheeler’s 13th New York Battery. This view was taken facing southeast at approximately 4:30 PM on Tuesday, May 12, 2009. So it sounds like the National Park Service is being very proactive with their contractors and it appears that the contractors are doing a good job. 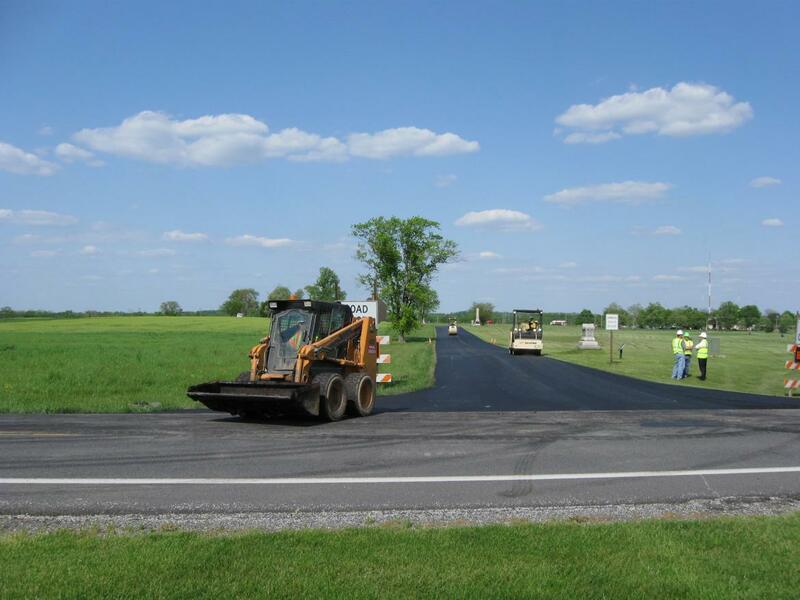 Shouldn’t the Park Service be happy to let others view the improvements that we saw today? They allowed visitors all around the Old National Park Service Visitor Center demolition site to take pictures. No problems there. Instead our visit to Howard Avenue on Tuesday raised questions that we hadn’t thought of before. 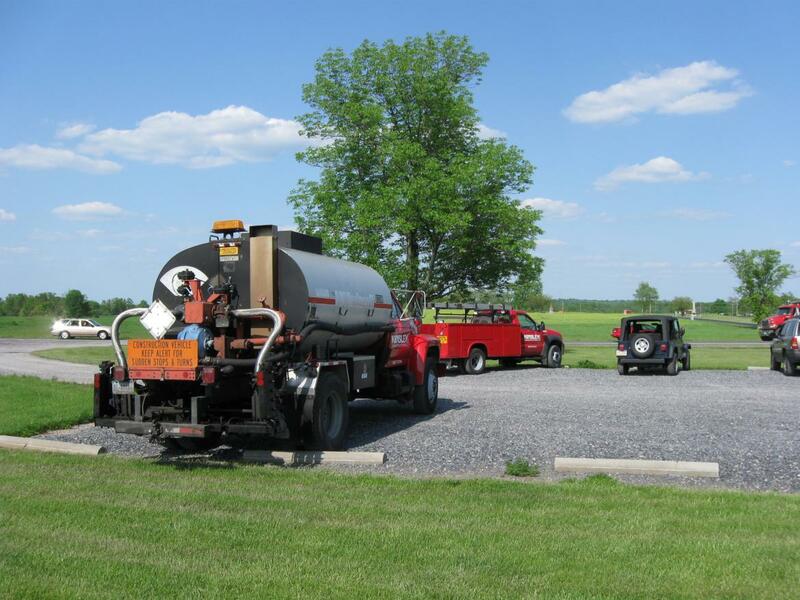 Dilger’s Ohio Battery is on the right. Note: The marker on the left? 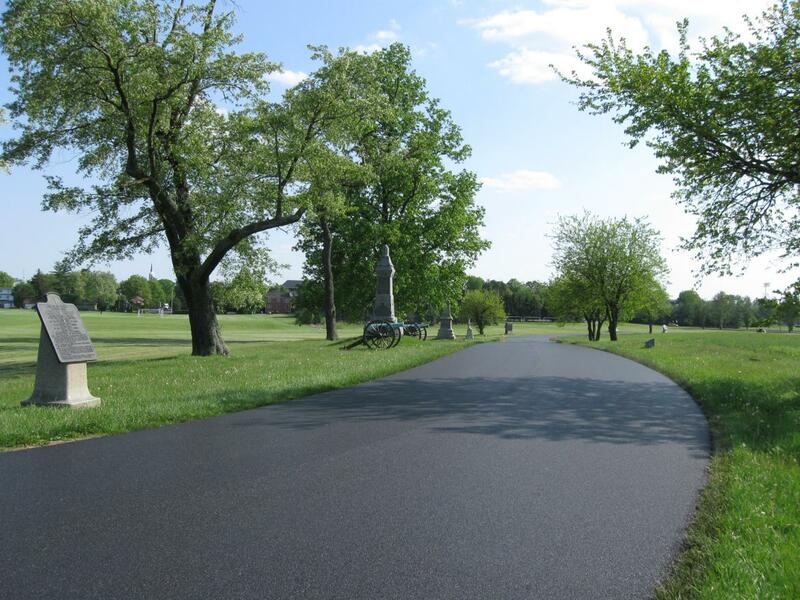 Asphalt free. This view was taken facing northeast at approximately 4:30 PM on Tuesday, May 12, 2009.